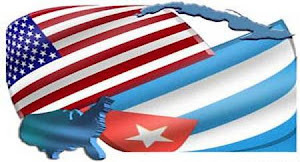 Please do not be dispirited with the recent efforts of Rep. Mario Diaz-Balart (R-Fl), Rep. Ileana Ros-Lehtinen (R-Fl), and Rep. David Rivera (R-Fl) regarding their misguided efforts to change United States Cuba policy back to the George W. Bush Era. Their efforts, while appearing to be significant on the surface, are not. Even a cursory study by the media will reveal that their draconian measures will not succeed in this Congressional session. The three members of Congress in question are solely driven by hatred, vengeance, arrogance, and retribution. These are poor authors and drivers for effective foreign policy. In Diaz-Balart's and Rivera’s sophomoric efforts, their actions are guided by complete ignorance, as well. These two Congressmen are not highly respected by their fellow colleagues in both the Republican and Democratic parties. Hundreds, if not thousands, of pet and petty amendments and bills are introduced all the time, just to garner some political points and to pander to a radical constituency. What they have done is played a perception game. I expect that intelligent media will see through these shallow proposals. Hopefully, the press will do some real journalistic research, and that they will also conclude that the provisions in question are “dead on arrival”. In short, it is inconceivable that the full House and Senate will allow three members with selfish agendas, acting against the best interests of the United States and the Cuban American community will undo a foreign policy provision that seems to be working to the satisfaction of all. The media should conclude that these members and their followers are driven solely by hatred, vengeance, arrogance and retribution and do not enhance the best foreign policy interests of the United States. - Albert A. Fox, Jr. I believe you are mistaken to suggest the hardline troika's latest Cuba-focused legislative initiatives are inconsequential and without any realistic chance of success. The reality is Ros-Lehtinen, Diaz-Balart, and Rivera are not isolated, unpopular wingnuts. In the House Foreign Affairs Committee, for example, the vote was 36-6 in favor of Rivera's draconian Cuba amendment, with all the Republicans and 13 Democrats voting with Rivera. In the House Appropriations Committee, an overwhelming majority of committee members supported Diaz-Balart's Cuba amendment. No doubt the Republican-controlled House will approve these measures as part of much larger appropriation bills. Now we're supposed to hope and trust their initiatives will be stymied by the Senate or the White House or both? When it comes to U.S.-Cuba policy in recent decades, we've learned the hard way that hardliners have inordinate fortitude and influence, and they usually win. Washington cannot be relied upon to do what is right. Rather than dismissing the troika's initiatives as insignificant and hopeless, I urge you and all supporters of a rational U.S.-Cuba policy to sound the alarm and fight with money, lobbying, and votes before it's too late.